According to legends, Goddess Parvati had carried out intense austerities (tapas) in order to get Lord Shiva as her husband. Since then, unmarried females have been observing this fast on the pretext of obtaining an ideal and devoted husband, just like Lord Shiva. Gauri Parvati Vrat is observed for five days beginning on the Ekadashi day in the month of Ashada in the waxing phase of the moon. The fast ends on the day of Purnima. A partial fast is observed wherein the girls perform pujas for Goddess Parvati. An important Hindu ritual, Gauri Parvati Vrata is observed by unmarried women and young girls. Also known as Gouri Vrata or Gauri Vrat, this ritual is performed during the Hindu month of Ashadha and is dedicated to Goddess Parvati. Goddess Parvati is also referred to as Gauri. According to the Gregorian calendar, the date of this fast usually falls in the month of July or August. Gauri Parvati Vrat is immensely observed by the unmarried girls in the Indian state of Gujarat. Scroll through the following lines to know more about Gauri Parvati Vrata and the procedure for observing the same. A unique tradition is followed during this course of five days. 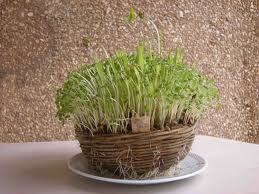 All females observing Gauri Vrata grow corn shoots in a small pot. The tender corn shoots emerging along with Lord Surya (sun) are worshipped during the day, not to forget Goddess Parvati. While considering the food to be consumed during the five-day fast, salt is strictly prohibited. Only wheat flour, ghee and milk are used for preparing food. However, different fruits can be consumed as well. On Purnima day to end the vrat, girls perform a ‘cow puja’ and also bid farewell to Goddess Parvati.